While there is no Asperger syndrome medication specific to treating this pervasive developmental disorder, some people who have this condition can benefit from certain prescriptions. Many people are able to manage the symptoms of Aspergers independently but others may require additional support. The prescriptions treat specific symptoms rather than the disorder. Medication commonly prescribed to Asperger patients are combined with treatments in order to achieve the desired results. The first thing to consider is the specific symptoms and behaviors that require attention. The medicine is selected according to the individual's needs. 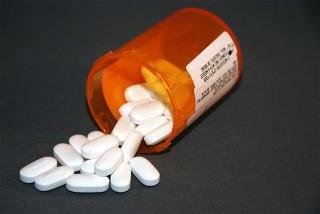 Research shows that SSRI medications can treat individuals with Aspergers and bipolar disorder. The notion is that an imbalance of neurotransmitters may lead to problems with mood and behavior. Antipsychotic medications are also considered in Asperger therapies. Thought processes that are typical of Asperger individuals can be the source of great stress. Among the most stressful is transitioning and dealing with changes. There is a significant connection between stress and change for people in general. This stressor is particularly difficult for people diagnosed with Aspergers. The effectiveness of antipsychotics is still being researched. A physician may prescribe risperiodone or abilify in very low doses. The individual requires proper evaluation and follow-up to ensure that there are few negative side effects. Many people find that the negative side effects are more problematic than the symptoms of the condition. Medicating is not appropriate for everyone in the autism spectrum of disorders and each case requires individual attention. Specifically, children require close monitoring and deliberation. The side effects are especially problematic in children. The medicine may be prescribed to children with Aspergers or ADHD. The proper dosage for children may be very difficult to determine and the dose needs to be adjusted as the child grows. Parents and caregivers are urged to monitor children on these types of medication very carefully. Dramatic negative changes in behavior, worsening of the symptoms or expressed suicidal thinking are important signs that the medication needs to be adjusted or discontinued. Pervasive developmental disorders like Asperger syndrome are enigmatic and this makes determining which medications and interventions to use very difficult. Research is currently investigating the causes of pervasive developmental disorders and which treatments work best for their symptoms.